While there are many popular and well-established events in London, The Lord Mayor’s show is one of the best of the annual events held in the English capital. The event can be traced back to the 16th century and the Lord Mayor is the Lord Mayor of the City of London, the historic centre of the wider metropolitan area. The City is regarded as being one of the key financial areas in the world and amongst other names is referred to as the Square Mile. There is a new Lord Mayor appointed every year and the parade is part of the inauguration process. This role used to be one of the most prestigious and prominent in the entire country, hence why it is such a major event, but in recent years, it is more about the show and pageantry as opposed to being such a major event. It is important to bear in mind that the role of Lord Mayor within the City of London is a completely different post from the Mayor of London role (held in 2014 by Boris Johnston). The Mayor of London role was only set up in 2000 and they are the elected head of the authority of Greater London. There has been some confusion, especially for tourists in recent years, about the two Mayors of London but this shouldn’t detract from the nature of the event. Alan Yarrow Lord Mayor Elect with the Outgoing Lord Mayor Fiona Woolf. Photo: ©The Lord Mayor’s Show. The key component of The Lord Mayor’s Show is based on a parade which, in the current era, is a light look at the traditional elements of British life, and which also contains a carnival element. 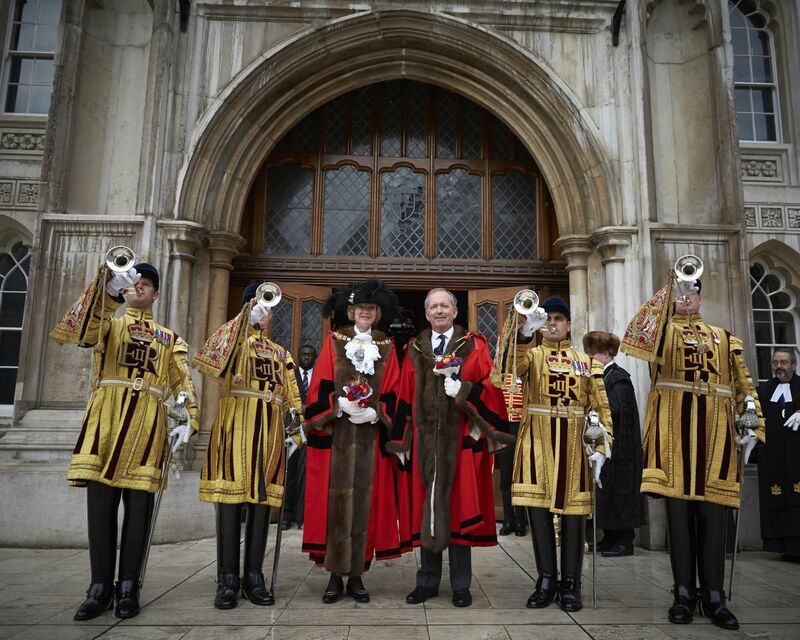 The Mayor is sworn in and then the Lord Mayor and a number of other participants will make their way from Guildhall, in the centre of the City of London, to the edge of the city of Westminster, to the Royal Courts of Justice. This enables the new Lord Mayor to swear their allegiance to the Crown. 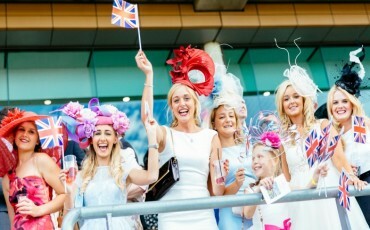 There are plenty of places where you can find a good view of the procession and the route has recently been running from Guildhall, along Princes Street to the Bank Junction and then beyond to Mansion House. From here the procession continues alongside Poultry, Cheapside, New Change, on to the churchyard of St Paul’s, onto Ludgate Hill, Fleet Street and then on to the Strand. At St Paul’s, the Lord Mayor receives a blessing on the steps of the cathedral from the Dean and then the next stop takes place on the strand, at the Royal Courts Of Justice. The procession then reconvenes and makes a return journey, taking in locations such as Aldwych, Temple Place, Victoria Embankment and then Queen Victoria Street before returning to Mansion House. At this point, the Lord Mayor will enter the Mansion House where an event is held with guests and volunteers. 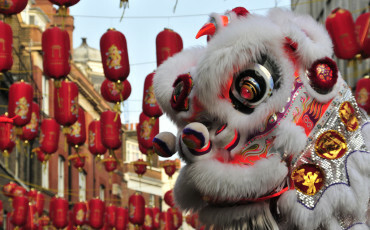 The parade takes place over a number of hours, usually beginning at 11am and finishes around 3.30pm. The procession is around 3 miles along (around 5km) but the route is shorter and the head of the procession is often at the end of the route before the Lord Mayor has even left Mansion House for the first time. Another notable part of the day comes in the evening and is subject to suitable weather conditions. If the weather is suitable, there will be a fireworks display, bringing a busy and entertaining day to a sparkling close. While some people will argue that the new role of Mayor of London is the far more important role of the two, there is no doubt that the tradition and pomp of the Lord Mayors procession ensures that it retains a strong role to play in modern British life. 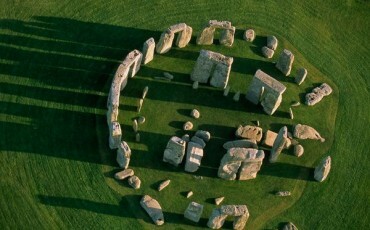 This is one of the many aspects that people come from all over the world to see and it remains a top tourist attraction. Lord Mayor Show procession. Photo: ©The Lord Mayor’s Show. 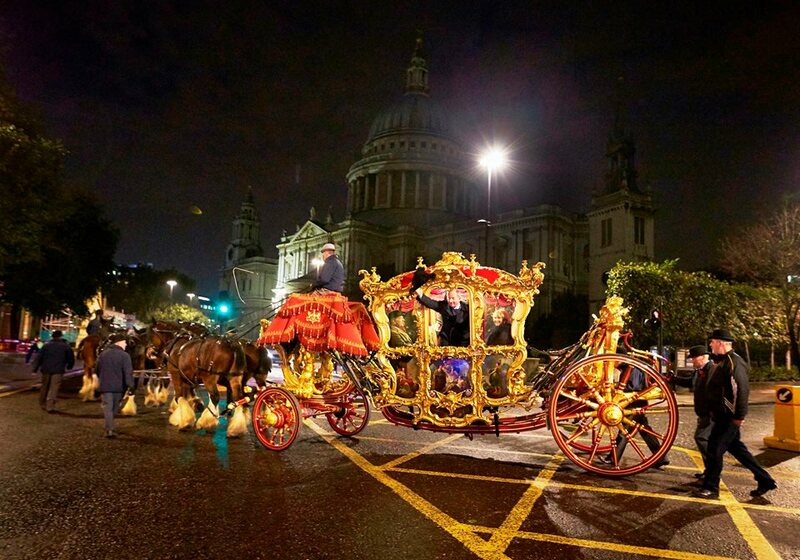 The next Lord Mayor’s Show is on 14 November 2015. Find out more by visiting the Lord Mayor’s website.